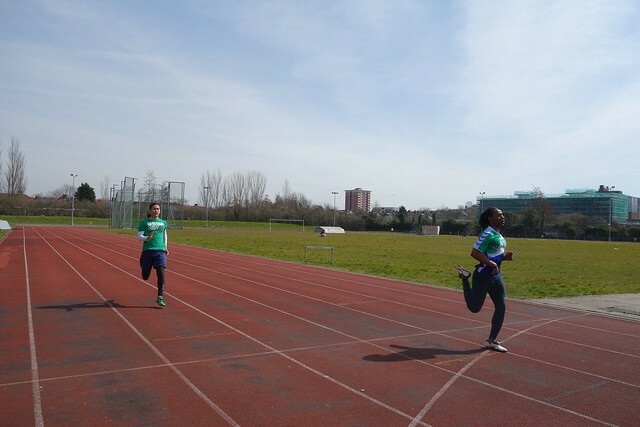 Last Sunday we left our usual long distance run and switched things up by heading to track to get a lil speed into our legs! We like ranging up our training so what better excuse could we have than our prep for the We Own The Night race - sign up here ladies if you haven't already. 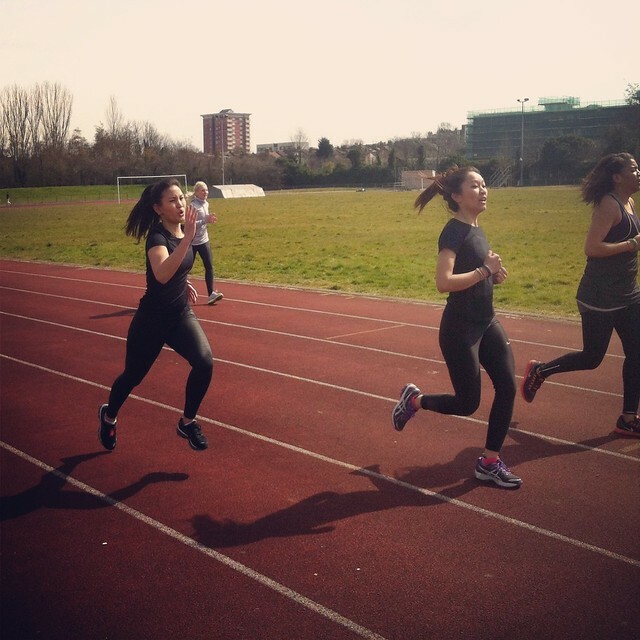 The girls and I have been so eager to get ourselves into sprinting mode so when our boys Lee and Andrew said we could come and join them for their #Sprintsundays session we jumped at the chance! Our coaches for the day got us doing some exercises to help with our technique - this required mad co-ordination, which was harder for some than others (no names lol). 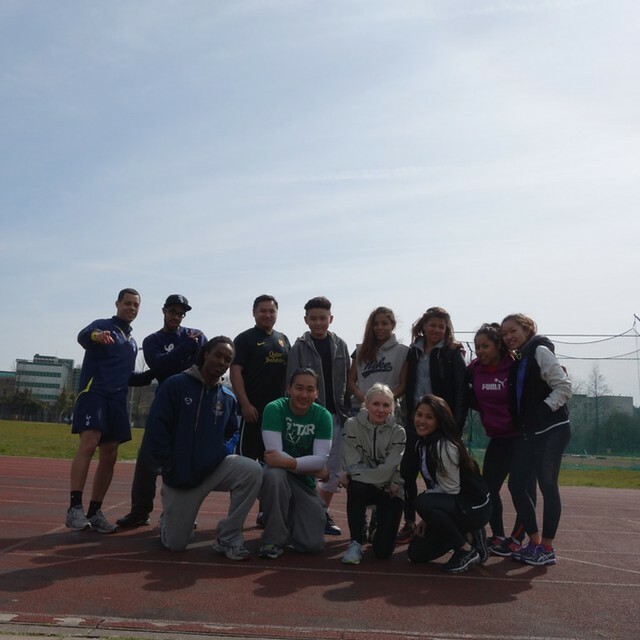 We were jumping mad hurdles, doing heavy weighted squats, long jumping hops and some exercises we could get away with doing in a club (serious twerk teng!). And believe this was only the warm up! 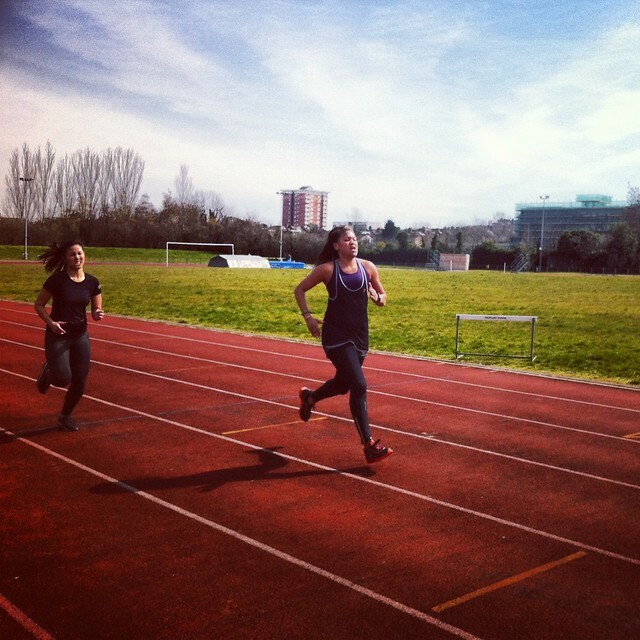 Onto the track - 6 x 200m sprints with some friendly competition amongst everyone! This was much harder than I expected... taking HIIT to another level. The powerful bursts killed us!! Trust me when I say I am writing this 3 days later and I still have DOMS!! It's a serious full body work out which we loved! It's not just our leg muscles that got a beating, but my abs are currently killing, some of the girls can't feel their booties anymore and stairs are temporarily out of use - strictly a lift/elevator ting for us! 1) Grow your BOOTY- sprinting helps build muscle mass. 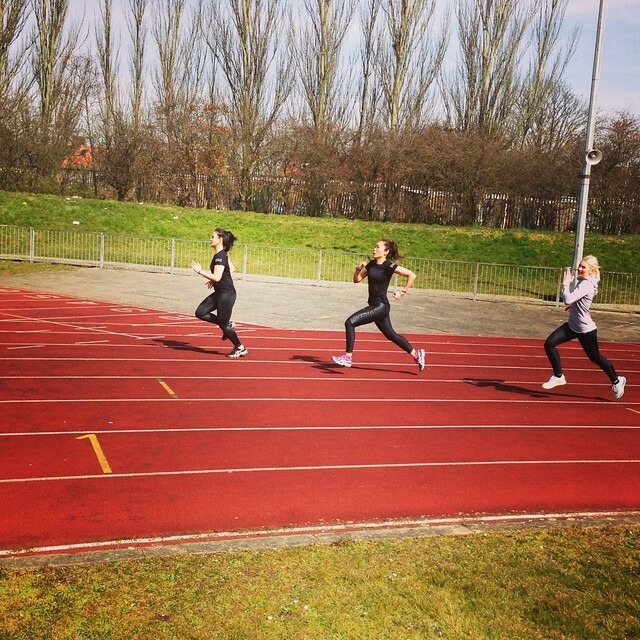 You need to exert pure power to push your body through sprints so your booty needs to WERK to get through! As well as the rest of your legs! I'm on a mission to grow mine as I don't want to be the flat batty of Food & Lycra LOL. 3) Speed up your runs and speed up your metabolism too! - Research has shown that intense 30 second exercises speeds up your metabolism dramatically. Time to burn FAT! Last but not least it is so much fun with your homies - we had such a laugh even through all the pain and the uncontrollable twitching muscles and throwing up! We'll definitely be back again just 'cause we're a bit nuts like that! Food & Lycra Run Rotterdam, BRB!